Prepare for interviewing and select best fit. Develop existing staff, build cohesive teams, and develop leaders. Manage conflict and improve communication. Reduce the likelihood of turnover and bad hire. Become a more effective manager and leader to your team. Enhance your candidate selection process by incorporating a candidate personality assessment. Jung Typology Profiler™ personality assessments will help you select the best fit, develop and retain top talent. 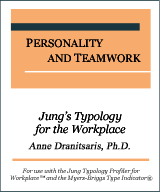 Discover effective ways of working together by using Jung Typology Profiler™ personality assessment. Leverage natural strengths of team members. Improve team cohesiveness. Develop your staff. Develop effective leaders. Become an effective leader. Understand your leadership style. Leverage your own personality strengths and those of your team. Motivate and create an effective work environment. 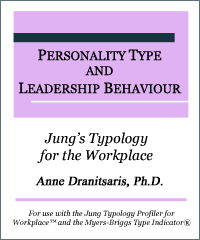 Enhance your offering by incorporating the Jung Typology Profiler for Workplace™ personality assessment into your coaching and counseling services. Get useful inputs for your session and provide valuable material to your client, cost effectively. JTPW™ is an online personality assessment instrument for the workplace. Applications include: candidate assessment, team building, leadership, career development and more. It is used by the wide range of organizations, human resource professionals, managers, career counsellors, trainers and researchers around the globe. JTPW™ questionnaire is also available in German, Italian and Chinese languages! JTPW™ questionnaire is now also available in Portuguese in addition to English, Spanish, French, and other languages! The JTPW™ certification program is a useful supplement for human resources workers, managers, coaches and counselors, and anyone intending to use the JTPW™ instrument and the HRPersonality™ assessment administration service properly and most effectively. JTPW™ questionnaire is now also available in Bahasa Indonesia in addition to English, Spanish, French, and other languages! Personality Compatibility Report. Based on Jung's and Briggs Myers' approach to personality, the report provides personality compatibility analysis of employees and job candidates and is used for team building and pre-employment assessment. Available free of charge for a limited time. JTPW™ questionnaire is now also available in Spanish, French, and other languages!